Vic Energy Minister Lily D’Ambrosio has the community at her back when it comes to the VRET. As the vote on the national Renewable Energy Target looms, the Victorian government has called on the Prime Minister Abbott to back an amendment to the legislation to give the states the full suite of tools to meet their own target schemes. In May, Premier Daniel Andrews announced a commitment to reinstate a Victorian Renewable Energy Target–a move that would grow renewables and create thousands of jobs in the state. “Tony Abbott needs to get his priorities right and stand up for Victorian jobs this week,” said state Energy Minister, Lily D’Ambrosio. THE Victorian Government wants to reinstate Victoria’s Renewable Energy Target. However, they are restricted by Section 7c of the Renewable Energy (Electricity) Act 2000, as it allows corporations to avoid complying with state schemes which “substantially correspond” to federal RET. Section 7c must be removed to allow the states to develop their renewable energy industries, in order to reduce carbon emissions and to reap the economic benefits of a vibrant renewable energy sector. With a VRET in place, Victoria can get on with the job of building the 15 wind farms that are already approved across the state, unlocking $5 billion worth of investment and creating thousands of jobs. Friends of the Earth have long championed the need for a Victorian Renewable Energy Target and welcome the leadership from the Andrews government. The case for removing Section 7c is strong. When the states agreed to handover the right to have their own RET schemes it was to meet the increased national target to 41,000GWh – equivalent to at least 20 per cent of electricity generation. The Abbott government’s decision to cut the RET to 33,000GWh means the spirit of the original agreement between the federal and state governments has been broken. Yet, as Yes 2 Renewables readers will know, there are creative ways the Andrews government can deliver a Victorian Renewable Energy Target. Section 7c hasn’t prevented the ACT or South Australia from finding creative ways to deliver their own state renewables targets. The ACT has a target of 90 per cent renewables by 2020 and its scheme will see the construction of the Ararat and Coonooer Bridge wind farms in Victoria. National leader, South Australia, is aiming for 50 per cent by 2025. And the sunshine state, Queensland, is gunning for 50 per cent by 2030. With at least 15 shovel-ready wind farms on the books, reinstating the VRET would unleash an estimated $5 billion worth of investment across regional Victoria. It would create thousands of manufacturing and construction jobs while generating drought-proof income for farming communities. 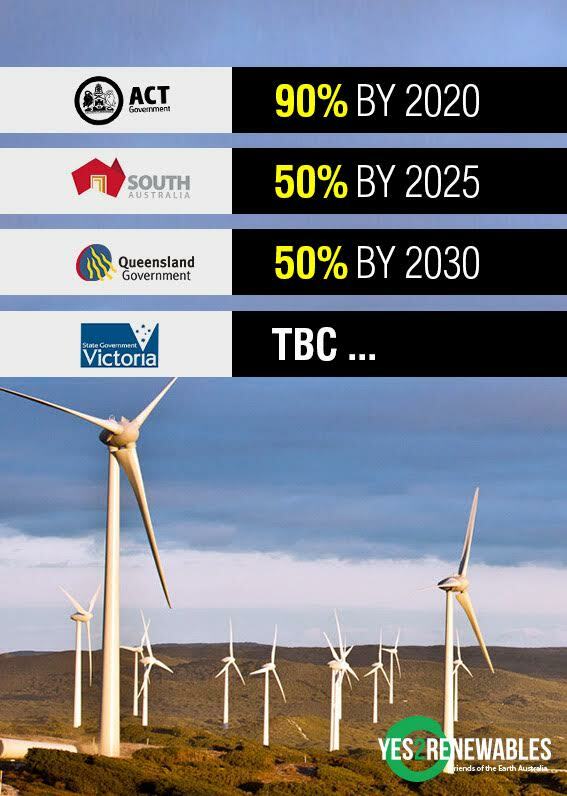 A Victorian Renewable Energy Target can gain cross party support in the state. It would be welcomed by anyone who supports job creation, investment in Australia, and action on climate change. 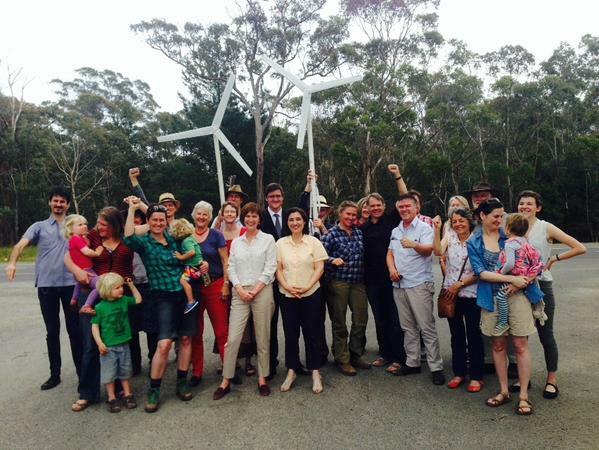 The Greens already support restoring a VRET. Opposition leader Matthew Guy is modernising the Liberal party’s energy platform and has established, for the first time, a shadow minister for renewable energy. The VRET has also won the backing of upper house member James Purcell (Vote 1 Local Jobs). While the Abbott government’s refusal to remove Section 7c will rule out the shortest path to VRET, as leading policy analysts explain, it does not stand in the way of the Daniel Andrews government delivering on its commitment to a state renewable energy target.